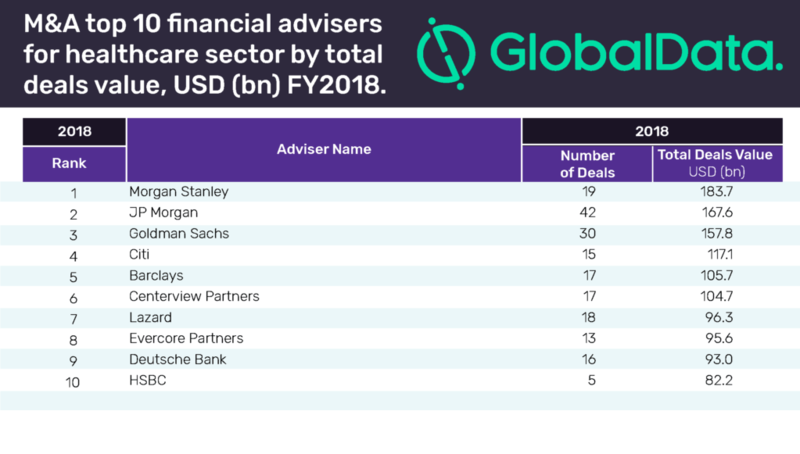 Morgan Stanley has topped the M&A table for the top ten financial advisers in the healthcare sector for FY2018, compiled by GlobalData. Despite advising on less than half the number of deals compared to its compatriot JP Morgan (19 vs 42), Morgan Stanley emerged as the winner with a total deal value of $183.7bn during the reporting period. JP Morgan secured the second spot with deals worth a combined $167.6bn, followed by Goldman Sachs with $157.8bn. JP Morgan advised on 42 deals, the highest in the sector in 2018. The healthcare sector witnessed a year-on-year increase in deal value and volume during FY2018. The total value surged by 34.34% from $314.7bn in 2017 to $422.7bn in 2018, while volume slightly grew by 6.75% from 3,716 in 2017 to 3,967 in 2018. Morgan Stanley led the healthcare league table of M&A financial advisers. It was ranked third in the global league table of top 20 M&A financial advisers released by GlobalData recently. Although Goldman Sachs topped the global rankings, it finished third in the healthcare league table list in 2018. 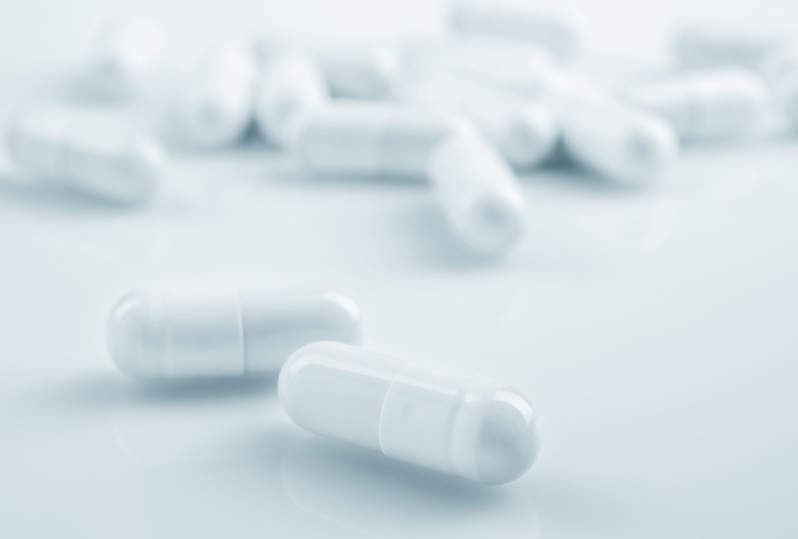 US law firm Latham & Watkins in first place on the top ten legal advisers list for healthcare sector by value and volume, though it finished seventh in the global league table of top 20 legal advisers. The firm advised on 50 deals, worth a total of $110.6bn, to surpass its competitors in the healthcare sector. Even though Sullivan & Cromwell provided legal services to only ten deals in 2018, it occupied the second spot in the top ten legal advisers list on the back of a total deal value of $104.2bn. GlobalData’s league tables are based on the real-time tracking of thousands of company websites, advisory firm websites and other reliable sources available on the secondary domain. A dedicated team of analysts monitors all these sources to gather in-depth details for each deal, including adviser names. The company also seeks submissions through adviser submission forms on GlobalData, which allow both legal and financial advisers to submit their deal details.